I love the odd spot of afternoon tea. There’s something so quintessentially English about this culinary art form, working your way through the sandwiches, the scones (with all that gorgeous clotted cream) and then the cakes, all washed down with tea. I remember up to about four or five years ago, some of the 5 star hotels in London would serve an opulent all-you-can-eat affair of unlimited quantities of sandwiches, scones and cakes. This doesn’t seem to be the norm anymore, which is probably better for my waist line, but is being sorely missed by my greedy little foodie disposition. Having eaten at Sketch before, at both The Lecture Room and Library (the one star Michelin restaurant), and The Gallery (the less formal dining room), I thought it might be time to try out The Parlour, the third of the dining areas at Sketch. The patisserie on display look delectable, and there is a long list of amazing sounding concoctions on their cake menu such as the ‘Gariguette Tartlet’, (strawberry and black pepper cream tartlet, strawberry and tomato tartare, loukoum-rose water and strawberry icing); the ‘Red Pepper and Manjari Tart’, (manjari ganache with a flourless chocolate biscuit filled with preserved red peppers on a sweet dough base); and the ‘Hojicha éclair’ (pâte à choux filled with hojicha cream, hojicha fondant). All of these are priced at £5 each. We decided to order the traditional afternoon tea for £24 (there is also a champagne option with Pommery Brut Royal for £35). Sandwiches of ham and mustard, smoked salmon, cucumber and egg and mayonnaise were simple, but very pleasant. It isn’t policy at The Parlour to provide second helpings, but when we asked, the waiter kindly brought us out some more sandwiches. 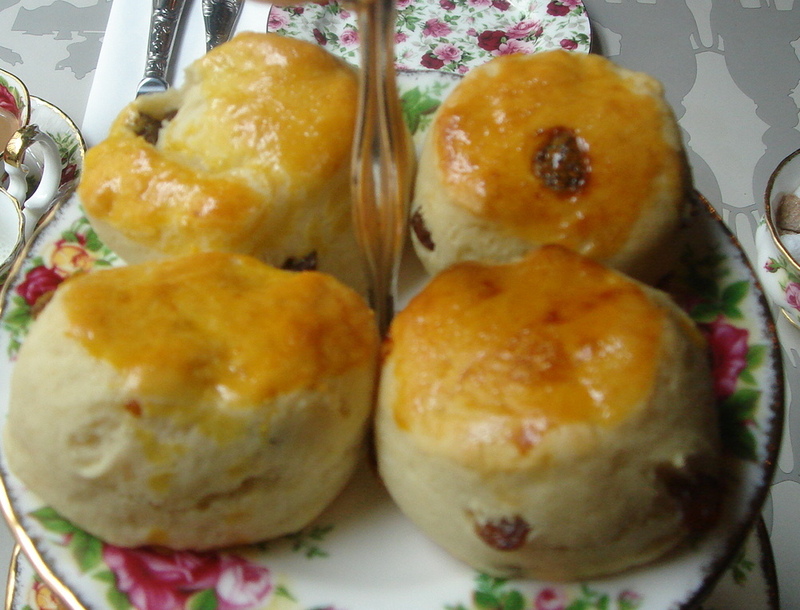 The fruit scones (two each) were lovely (with clotted cream of course). The accompanying jam was a home made raspberry one. I would have preferred a greater choice of jams for more variety, but it was evident the jam was of the highest quality. It was not particularly sugary, but made sweet not from too much added sugar, but rather, from the natural sweetness of the fruit itself which had been intensely reduced. 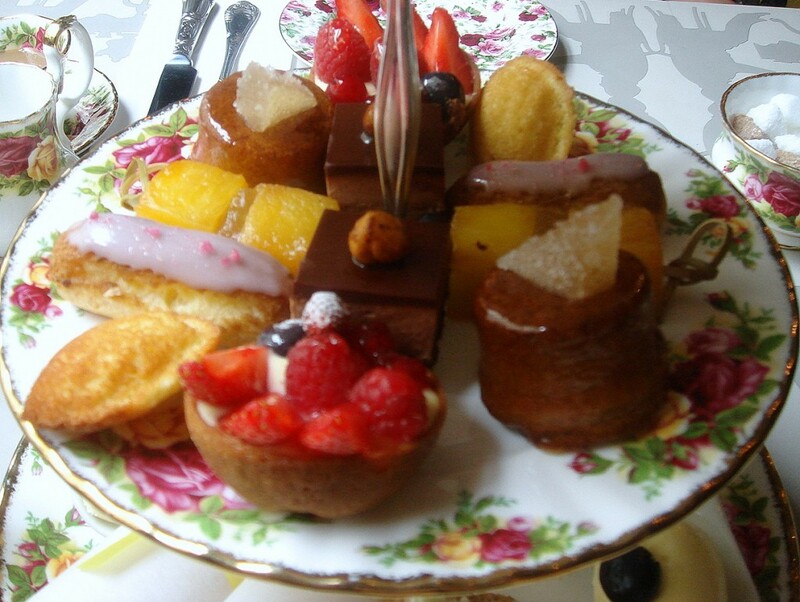 Pastries included a madeleine, a vanilla custard éclair with violet icing, a fruit tart, a chocolate ganache with chocolate mousse, a gingerbread cake and a pineapple stick. Overall they were very nice, with the highlights being the pastry on the fruit tart which was buttery, light, and crispy, and almost shortbread-like. The chocolate ganache was also excellent, although I found the pineapple stick to be superfluous to the platter, seeing as it was just a stick of fruit, and the gingerbread was too heavy and dense when you compared it to what else on offer. 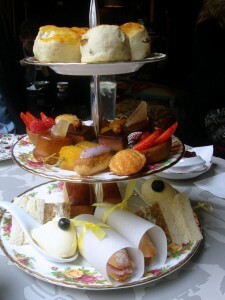 The afternoon tea at The Parlour is lovely, but it wasn’t quite as amazing as the gorgeous looking cakes on display. I also thought that the portions were a little bit too small. But The Parlour is a stylish room, which, in keeping with the rest of Sketch, is grandiose and luxurious with the odd touch of kookiness. It’s a nice place to chill out with a cake and coffee. Service is good too. And so my conclusion: The Parlour is great place for an afternoon sweet treat. Go with your friends, order a coffee and a £5 cake each to share for added variety, and the bill should come to no more than £10. This is what I’ll be sure to do next time I go. The total cost of the tea was £63, of which I paid £50 using a voucher offered to me by Sketch. 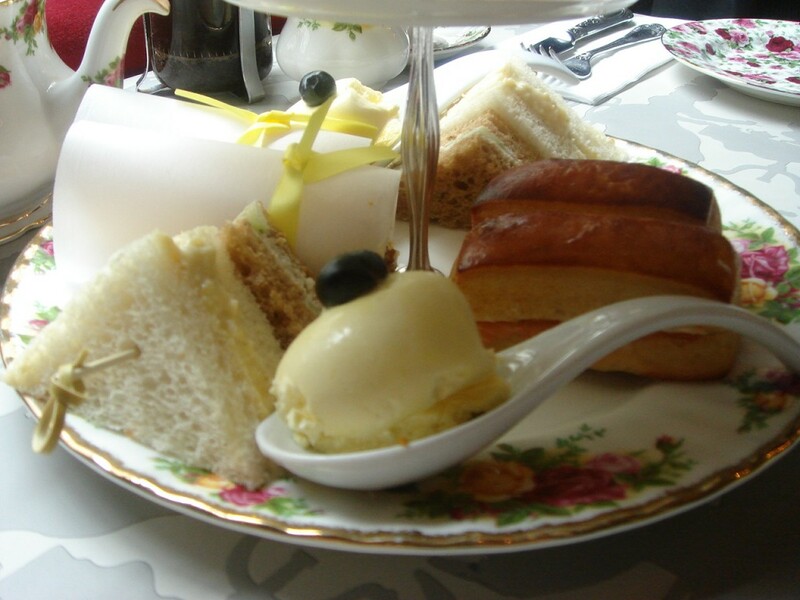 London has a few really good places for tea – this sounds like one of them. How would you compare tea here to The Connaught and The Lanesborough ? Hi Loving Annie, I haven’t been to tea at The Lanesborough, but I would recommend the Connaught over the Parlour, only because you get slightly more there. The Parlour seems to be best for cake and coffee. I hear that the toilets at Sketch are amazing – weird to go to a place for the toilets but anyway! Natasha, cake and coffee is always good. Gourmet, The toilets are amazing. There are two lots, the pod ones which are part of the Gallery, and another lot on the mezzanine between the ground floor and the Library. I can’t think of a better way to spend an afternoon, the tea looks fantastic although I’d probably go for the coffee and cake option myself!